Incuse Gold Maple Leaf Bullion from the Royal Canadian Mint. 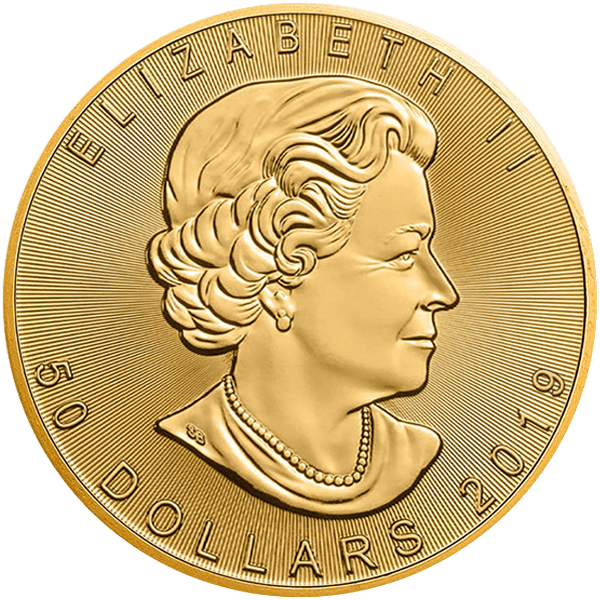 As a follow up to last year’s extremely popular, inaugural Silver Incuse Maple Leaf, the mint is launching a Gold version for 2019, an RCM first. DEALERS Pre-ORDER NOW: Call the trading room to order 800.375.4653 or login to FizTrade.com Shipping the week of March 18, 2019 (subject to change). The Royal Canadian Mint has never produced a gold coin with an incused strike on both sides. (“Incuse” means the image struck/recessed into a coin as opposed to the standard raised relief.) The unique and unusual sunken format is challenging to produce, leading few mints to creating such coins. Thus a “double” incuse is highly unusual in the marketplace. 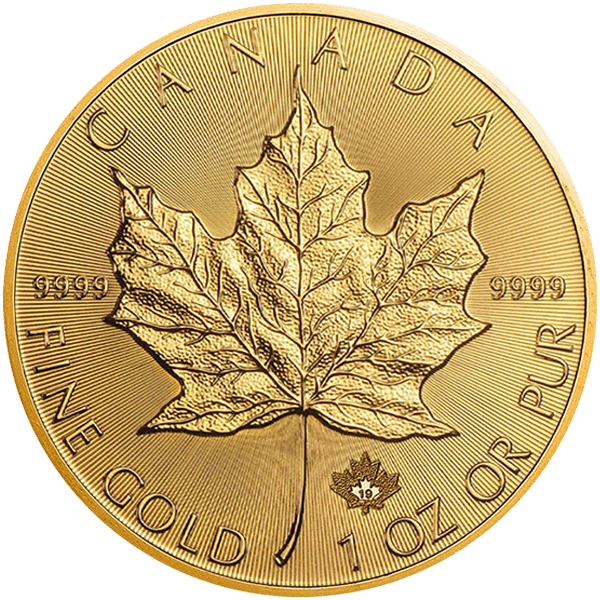 The now famous Walter Ott-designed maple leaf image is incused into the reverse of this Gold Maple Leaf bullion, giving it a unique look. The obverse image of Her Majesty Queen Elizabeth II is also incuse struck! The RCM continues their landmark security measures with the Incuse Maple Leaf coins. Bullion DNATM Anti-Counterfeiting Technology is far beyond basic coin authentication. Every die used to produce GML coins is laser micro-engraved with an anti-counterfeiting security mark. Digital Non-destructive Activation (DNA) is an advanced technology that captures images encrypted with an algorithm signature. These images are saved in RCM’s secure database. Dealers can then use the proprietary Bullion DNA Reader and software to instantly verify an RCM coin’s authenticity.